Offering a unique design experience, luxury design showrooms dedicated to bathrooms often are created not only to show the latest novelties of the world’s best brands but also what are the latest trends in the industry. Today, Luxury Bathrooms will present a series of luxury bathroom showrooms that opened over the last couple of years and that feature unique, decorative and functional bathroom designs and ideas in an effort to help one create the bathroom of their dreams. Antoniolupi’s new showroom in Milan was recently extended, courtesy of Calvi and Paolo Brambilla in order to further emphasise the brand’s impact on the Italian design scene. The rework was mostly focused on shapes and architectural details. The showroom has a strong connotation but doesn’t take the beauty away from the brand’s products. 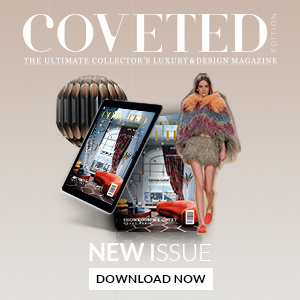 At the Covet House Douro, one can find a series of design inspirations and opportunities to improve their own projects. The highly curated spaces offer the ultimate design experience as it displays all divisions of the home, including a dedicated bathroom space with exclusive contemporary products from Maison Valentina, such as the Petra washbasin. Kartell by Laufen is a project born from a fruitful collaboration between two Italian powerhouses, Kartell and Laufen Bathrooms. One of their most popular showrooms in Milan, more precisely on Via Pontaccio and many of its designs are by the dynamic duo Ludovica + Roberto Palomba. This year, the brands showcase an iconic project entitled “dim sum” with a particular focus on the bathroom and kitchen. This exhibition takes visitors on an exceptional design journey, from the presence of varied colors that provide unique shadows and contrasts to rigorous shapes, sophisticated materials and other high-quality elements. The 2,500 square-foot showroom has more than 20 Duravit series, including some of its most iconic ones like the C.1 tap fitting series, the Cape Cod by Philippe Starck, Luv by Cecilie Manz, the Brioso furniture series designed by Christian Werner, the XSquare Collection by Kurt Merki Jr, among many other thrilling bathroom designs. The leading Australian supplier Artedomus has recently launched an astounding Sydney showroom that actually features the most exciting bathroom designs ever. The showroom was designed in a unique collaboration between The Stella Collective and Thomas Coward. This new Artedomus showroom located in Art Deco building and its interiors were inspired by Old Hollywood film sets. Exclusive dedicated to bathroom products and accessories, the Boffi’s Parisian showroom is divided into two levels. Here, you can see the brand’s collection in more detail. For example, on the ground floor, discover the latest releases from the brand, from washbasins in Carrara marble to unit compositions. Drummonds is an established bathroom brand in the UK with showrooms in multiple areas of the country, from Chelsea to Notting Hill as well as London. However, recently, the brand has opened up their very first North American showroom at the A&D Building, in New York City. Here, you can take a look at the brand’s finest products, from hand-finished basins to cast iron bathtubs. 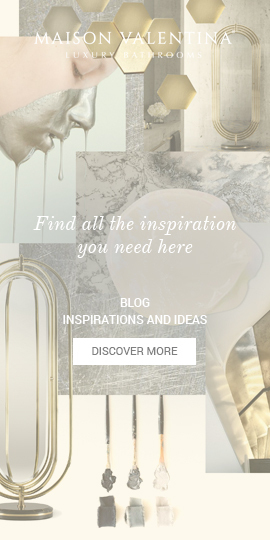 You can also see products from other brands, such as De Gournay, H&E Smith and Chaunceys. Porcelanosa Grupo’s Valencia showroom was refurbished a few years ago by Vicente Navarro and it is now one of the most important showrooms in Valencia. It is a 350 meters space dedicated to interior design and architecture. In the flagship store, you can see the latest bathroom designs and creative solutions from the renowned group. The Piet Boon by Cocoon bathroom collection is comprised by a series of contemporary taps and basins The exclusive collection is currently on display at the Piet Boon by Cocoon flagship store in the Netherlands. The highly curated showroom is the perfect space to find bathroom inspirations and will take you on an inspirational design journey where you can meet up with architects that can help you improve your own project.